You got a lot done and everything looks so nice. 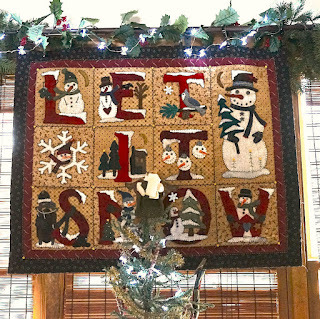 Let it snow is super adorable! I bet the balsam smells good. 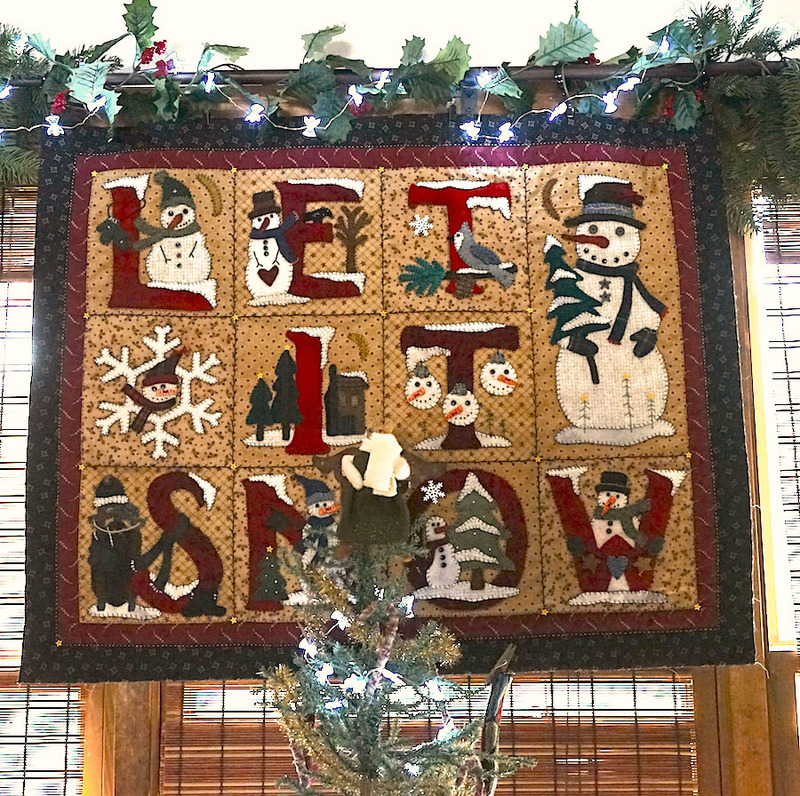 Your Let it snow quilt piece turned out really nice. 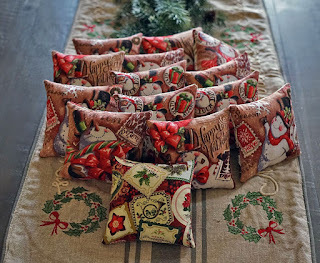 I can't tell from the picture how stiff or thin the pillows are but they look nice. 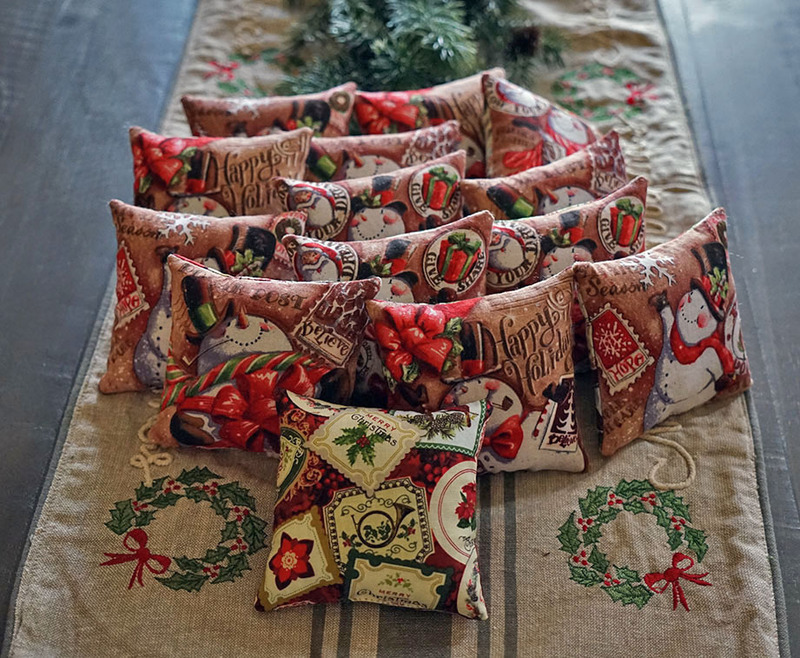 All of your projects look awesome! I still have 3 bags of that balsam...and it smells wonderful! The table runner is unique...I would have bought that if I'd seen it too. Enjoy your creating and decorating! Your Buttermilk Basin project is just too sweet! Wow, you really got a lot done. 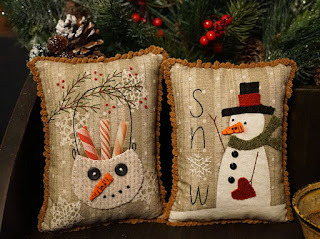 I love those snowmen. (I don't have any sun coming in that might need blocking though).